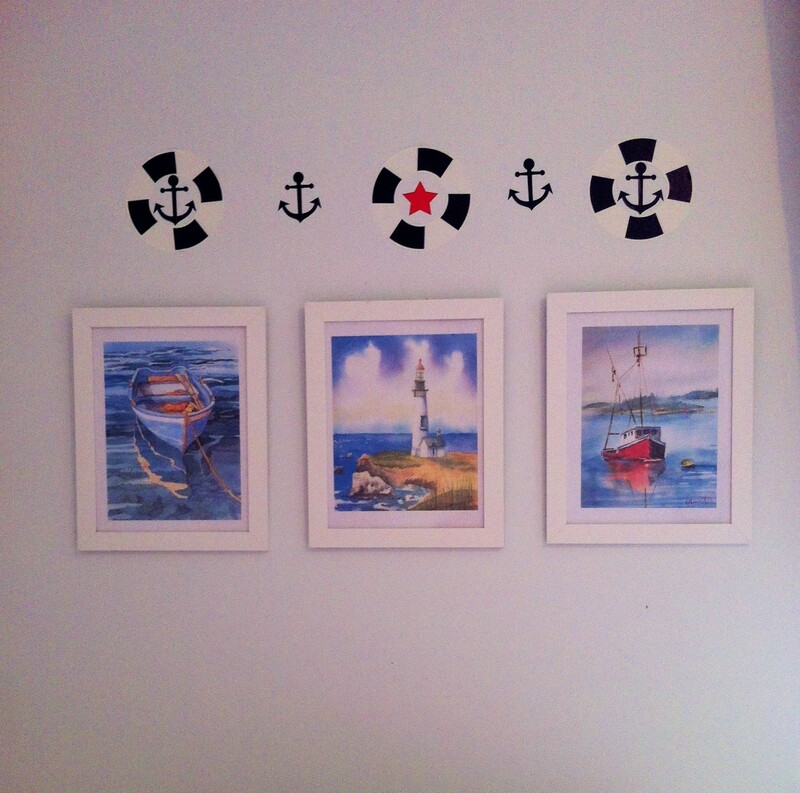 In a previous post you saw all the elements that went into creating Callum’s new room. Now it is time to reveal the outcome. A mess like this was not uncommon. 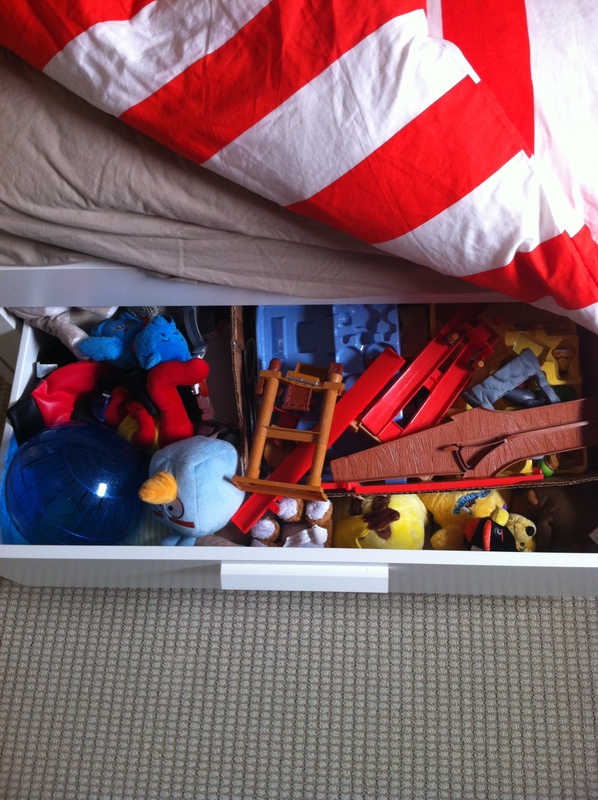 The drawers on the front of the bed help to contain some of Callum’s clutter. His old desk was meant for toddlers and was being used as a place for his hamsters. And no it wasn’t Halloween when this picture was taken. 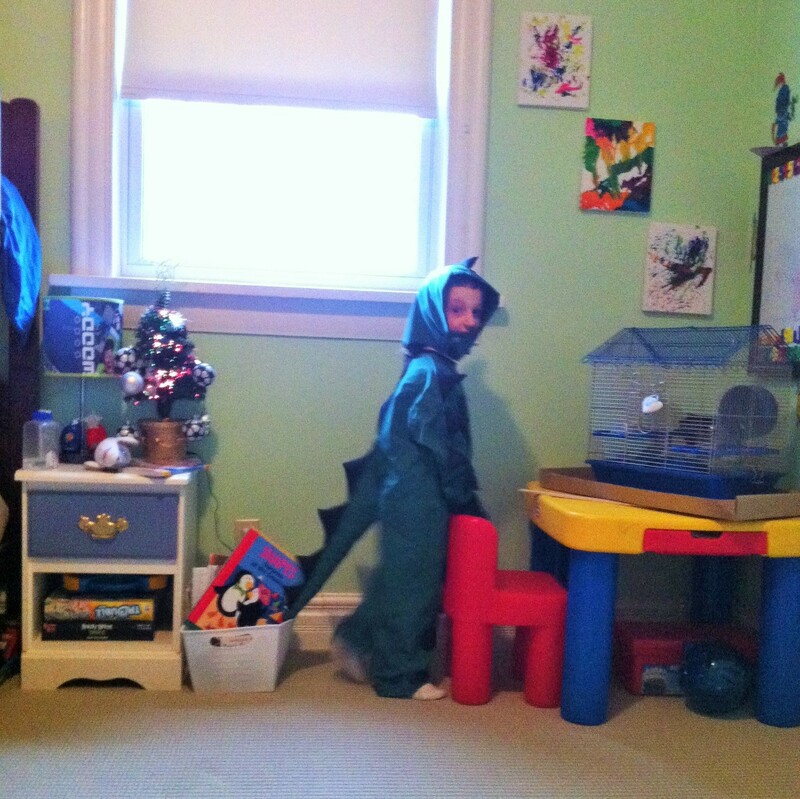 He just likes to dress up in costumes on random days. 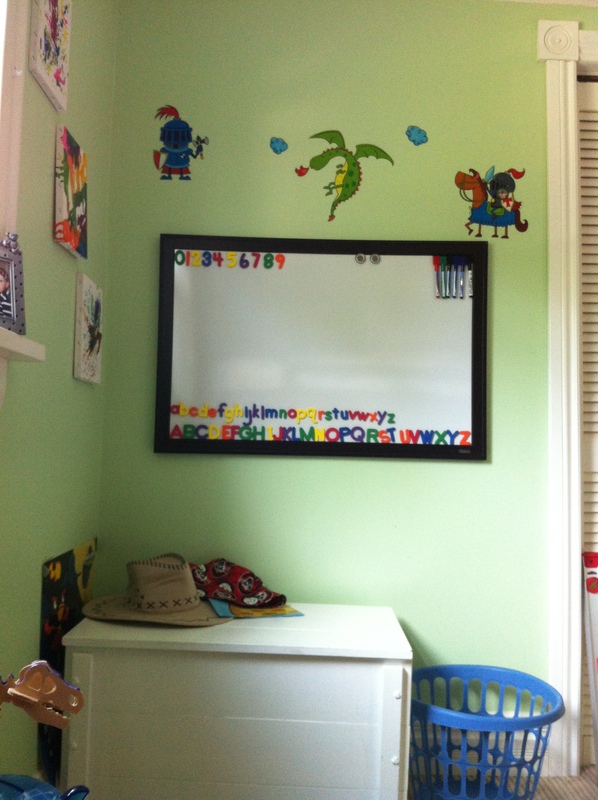 I put up a white board over the summer above his toy box. They have since been moved and it is now the place where his desk resides. 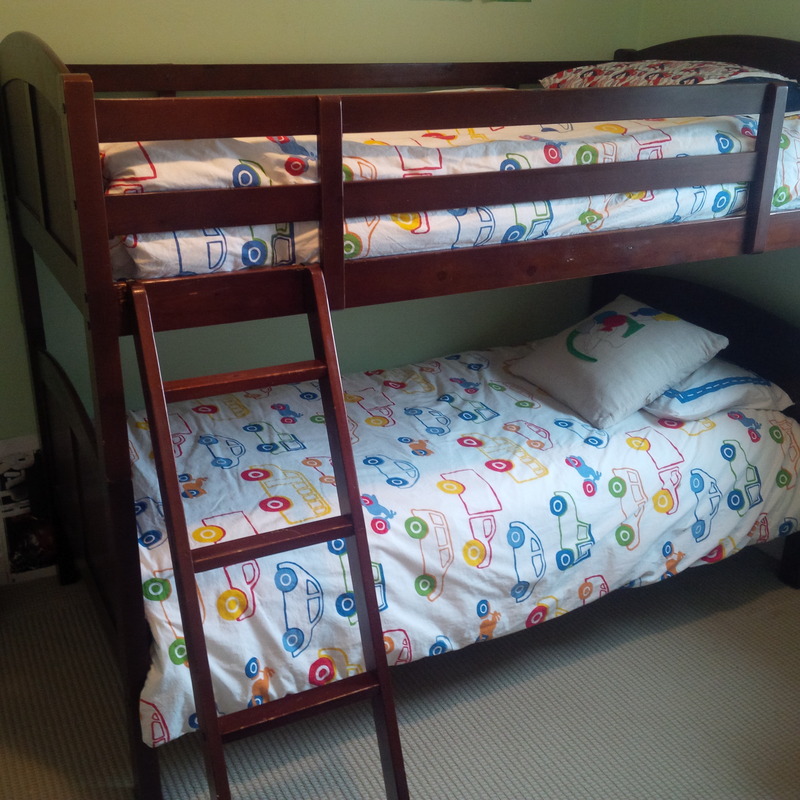 His old bunk beds seemed so large and imposing. I think my favourite part aside from how nice and clean everything looks is the decals. They took about 20 minutes to put up. I spaced them 10 inches apart. I started by doing it freehand but it looked really wonky so I ended up measuring and now it looks even and well spaced. The water colour pictures above his bed were printed off the internet. When it gets warmer I plan on taking Callum down to the marina so he can take some pictures of boats and the lake. Using the Waterlogue app you can change any picture on your phone, ipad or computer into water colour. It’s really cool. Callum is so thrilled with his room. He has been keeping it clean and loves spending time drawing and writing at his desk. 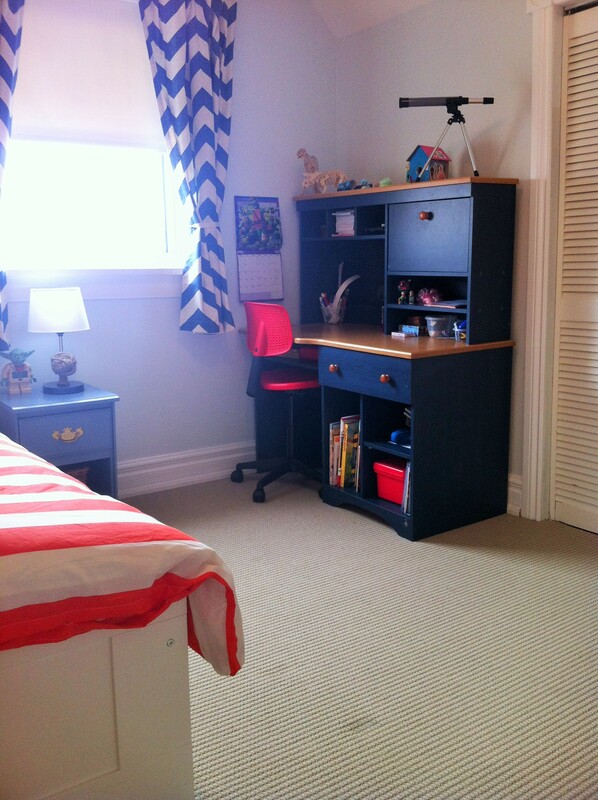 His room feels so spacious now that the clutter is off the floor and everything has a place. The drawers under the bed really help with keeping things clean. I used to step on all of these toys at least once a day. 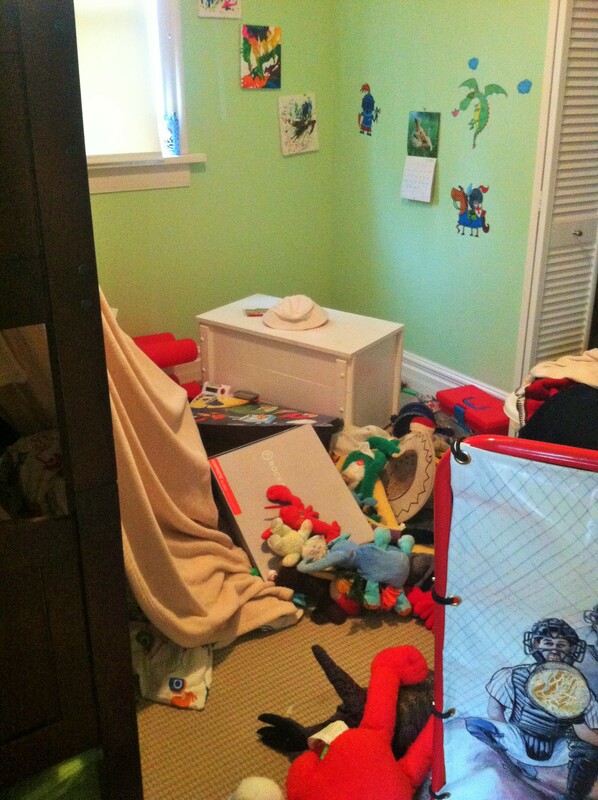 His floor was like walking through a mine field of angry birds and Lego. So as traumatic as it was to say good bye to his first big boy bed I am happy that we did this for Callum. He deserves a room that is functional and fun. LOVE IT! What a great makeover! You are one talented mama. I especially love the pic of Callum in costume.